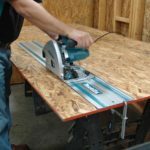 If you’re a pro and your job requires you to use several tools throughout the day while moving around, investing in a good professional tool belt is a great way to make accessing your tools more efficient while remaining comfortable. 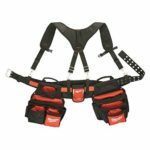 Different jobs have different tool and mobility needs, and as a result there are professional tool belts that are especially designed for certain trades, and tool belts that work better for other trades. Whether you are an electrician, carpenter, HVAC tech, roofer, framer, drywaller, or cable tech, you’ll be able to find our comparison reviews of professional tool belts for your trade by exploring and clicking through below. 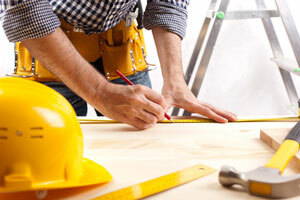 As a carpenter, you likely get paid by the job rather than by the hour. If that is the case, it can be an investment that pays for itself to choose a great tool belt to stay at your hip while you work. Rather than having to walk around the workshop all day or dig around in a tool box looking for the right tool, you can easily gain access to it from the place it’s always at, at your belt. 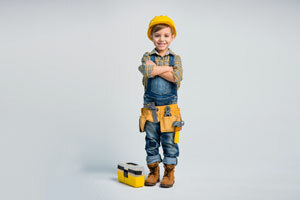 There are many options for carpenter tool belts. A lot of them will have pouches for screw and nail storage, which is where they share characteristics with roofer tool belts. There are good options made of suede and heavy duty fabric, but one of the highest quality options like usual comes from in leather from Occidental Leather. Read our full set of reviews for the best Carpenter Tool Belts. Cable technicians rely on a lot of small tools throughout the work day, so it can greatly improve efficiency to have them all at the ready on your hip. Snips, a coax connector compression tool, cable cutters, and a continuity tester are a few tools a cable tech will always want to have with them. 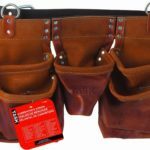 Carhartt offers a great nylon tool belt, and Dead on Tools has a utility pouch belt that is a popular companion for storing cable tech tools. Our full article offers a comparison of them both. Read our full set of reviews for the best Cable Tech Tool Belts. Hanging drywall is not an easy task. Drywall sheets are heavier than they may seem, and you want to have as many free hands as possible to get the job done. A good drywallers tool belt will should have pouches to hold a significant amount of drywall screws in addition to all the small tools you’ll want to have at hand all the time, like levels, while not weighing you down too much as you zip around the room hanging sheets. Read our full set of reviews for the best Drywallers Tool Belts. 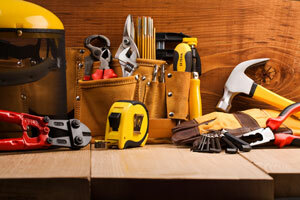 As an electrician you move around a lot and use a number of small tools consistently. 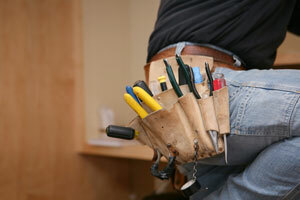 It’s a job that is a perfect fit for a quality tool belt. You won’t be weighed down with larger tools most of the time, but having your choice of pliers, wire strippers, channel locks, screwdrivers, voltage detectors, and more always at the ready can save you a lot of trips and make you more efficient. There are different styles of good tool belts that work well for electricians, including leather belts and belts with suspenders. 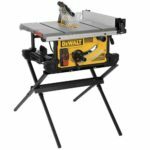 We’ve reviewed and compared some of the best of these models, including the high-quality leather electrician-specialty set from Occidental. Read our full set of reviews for the best Electrician Tool Belts. 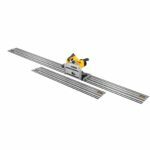 Framers typically have to carry around a lot more than just the basic hand tools, and as a result they need a specialized tool belt that will be able to carry power tools while also supporting the weight of those heavier tools in a comfortable way. The best framing tool belts are made of sturdy material, have large pockets, and padded suspenders to distribute the weight evenly without causing back and hip pain. There are many top-notch brands that make a good framer’s belt, and we have reviewed and compared some of the best. Read our full set of reviews for the best Framing Tool Belts. 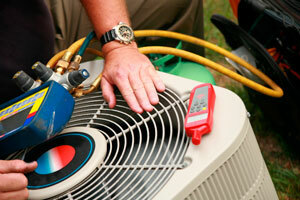 HVAC technicians are constantly moving around the house or job site, and having the right tool always at the ready can make the job extremely more efficient. There are some great professional tool belts that fit an HVAC tech’s needs very well, including many of the belts marketed for electricians. 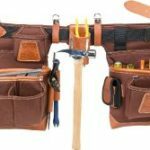 Our pick for the best HVAC Tool Belt comes from the high-quality leather specialists Occidental, their Occidental Leather Commercial Electrician’s/HVAC Set. Read our full set of reviews for the best HVAC Tool Belts. Roofers move fast and use a lot of supplies. It’s a taxing job that involves being up high and away from all your supplies on the ground. If you can save trips up and down the ladder by having what you need at all times stored at your side on a high-quality comfortable tool belt, then that is a great investment to make for timing, efficiency, safety, and the bottom line. For roofers, choosing a tool belt that is well-balanced, moves with you, and can carry a lot of nails is of paramount importance. There’s some overlap in those requirements for roofing tool belts with carpenter belts. Take a look at this page for more options. Read our full set of reviews for the best Roofing Tool Belts.